Hey guys! So let me see it's going to be about a month since I ORD and I so wanted to do up a post to actually sum up genuinely how I feel for the whole 2 years serving the nation! 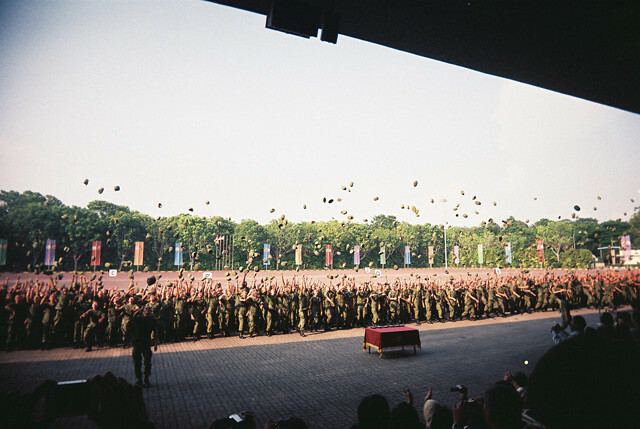 I hope I won't get carried away and write too much which then turns out to be really lengthy cause I really got alot to say (okay lah, I'll also try to put up some pictures of me in those army days), yes, 2 years leh, you cannot expect me to finish it in one paragarph one what?! I somehow hope that after you people finish reading this entry, for those who haven't enlist can know what will you guys be going through or those who have been through national service can related to it! Also for those who might never get the chance to go through it (females), can somehow know how is it like and what do we get from doing nation service! So I must be really frank to say that, before I got enlisted, I'm like dreading it as I really think it's a waste of time and I'm scared because physically I'm not really that fit as compared to others! So I'm super worried and nervous about it! Not just me, but my family and close friends are even more worried for me than I do! Also, going to the army means, no more petty hair which I used to have! Not forgetting, my blog which is one of my main concern that time cause I won't be able to have time to update anymore! 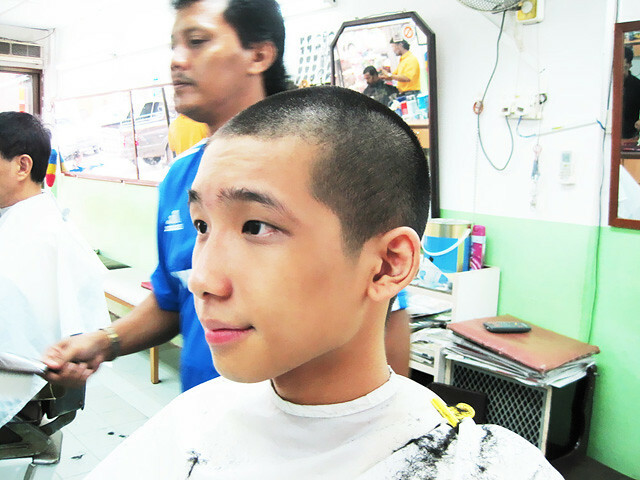 My hair before enlisted! Do you all remember how awesome is it? 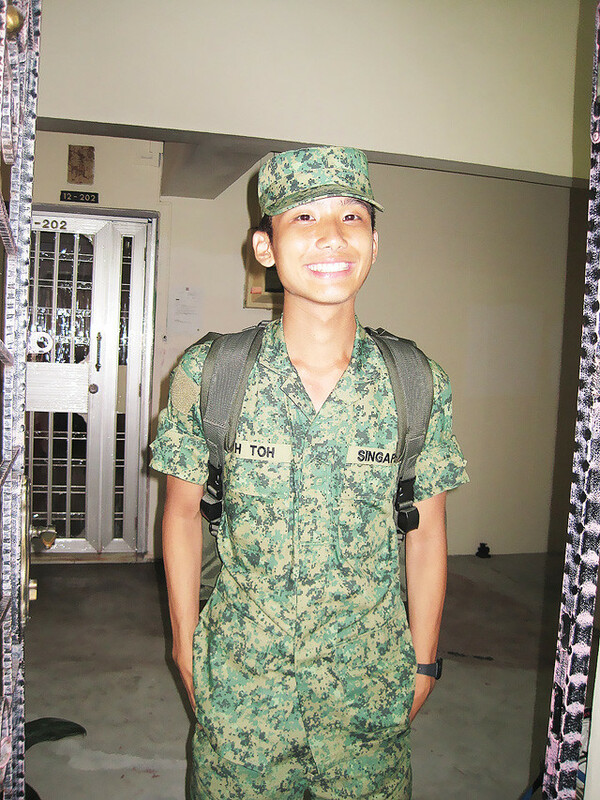 But because alot of people who are giving me doubts that I won't be able to make it through the national service, they think that I'm so skinny and weak surely cannot make it one! 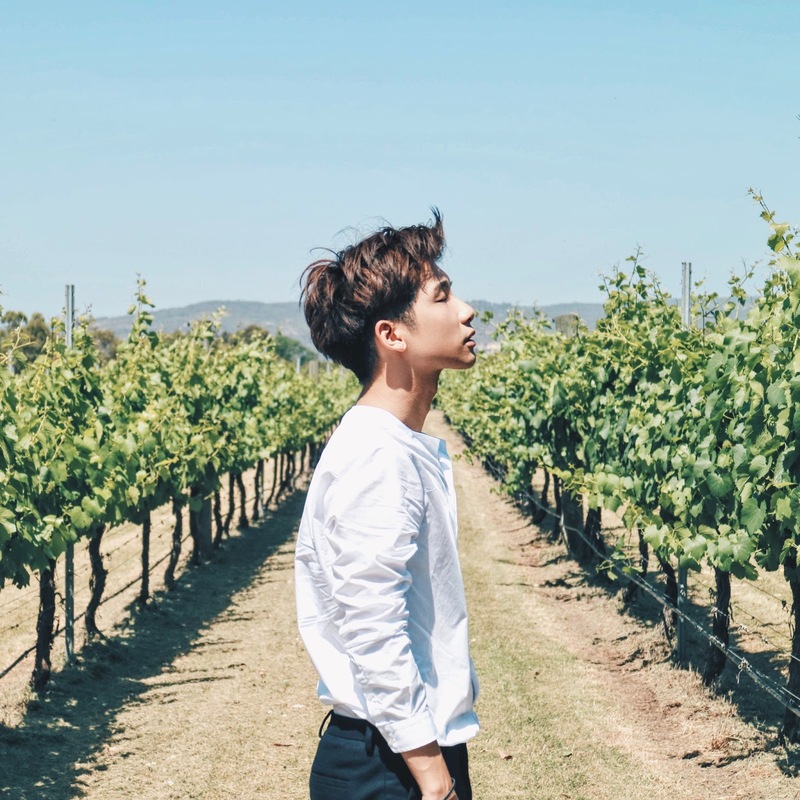 And I'm someone who always wants to prove people wrong, if I want to do things and have already made up my mind, I'll go all out and do and not hesitate at all! So it all started out when I was just starting, wanting to excerise alittle by running to train up myself for NS, it's just only after few days since I started running right, the enlistment letter came! I know right! It was so sudden and I'm left with 3 weeks to enlistment with a really short notice! So I called them and ask, they said it's because somebody dropped out so we have to slot you in! Wah! How lucky is this lor! So after much emotional drama (I secretly got tear abit), I went to get my hair shaved and got ready for my enlistment, which will be BMT over at Tekong! First time without my hair! 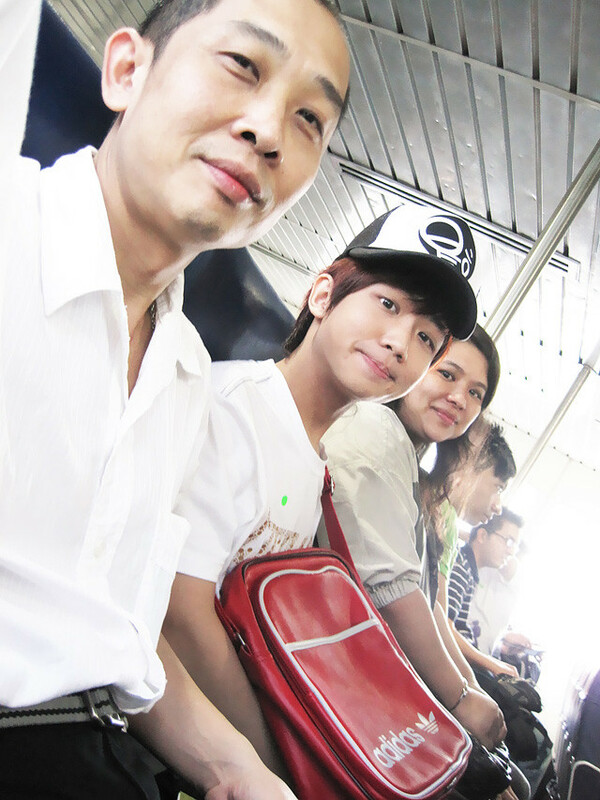 Family sending me to Tekong early in the morning! 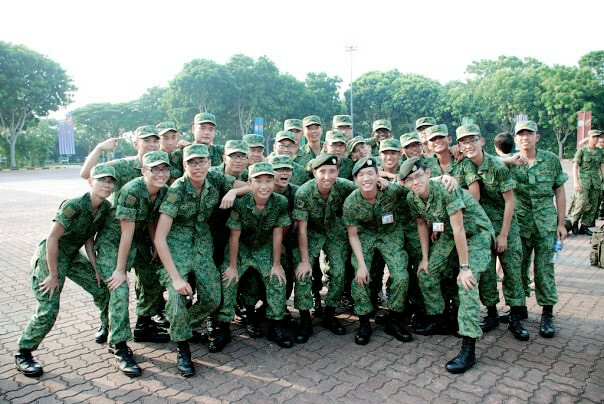 And I must say that although the tough training and super little time that we have during the weekends, the 3 months of BMT is one of the best time I had for the 2 years! It seriously left me with loads of good memories and I made really good friends and buddy there! Omg! I'm starting to feel emotional as I'm writing this! I really really enjoyed BMT alot! I don't know is it because of the friends there or what but it's really enjoyable! 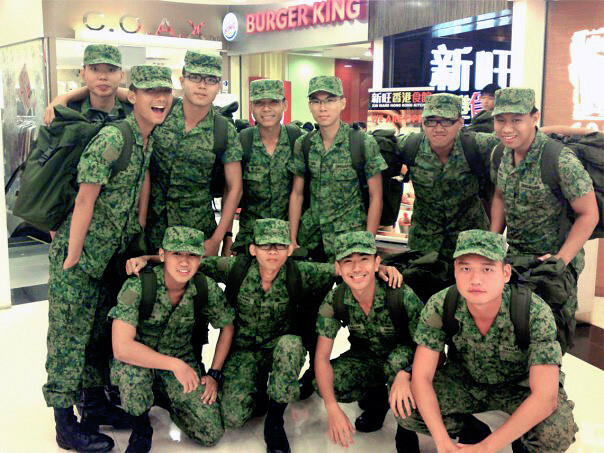 Those days where everyone help each other out, doing road march, going outfield and SOC! Where we gossip and share our problems to each other is such a wonderful time! I really really enjoy it alot! Though some people say I'm crazy when I say I like BMT and I don't mind going through again (okay, maybe minus the fieldcamp! hahaha!) when I'm already posted to unit! My very first book out back home from BMT after 2 weeks there! It's during BMT I get to know that I actually can go through all the training without falling out! 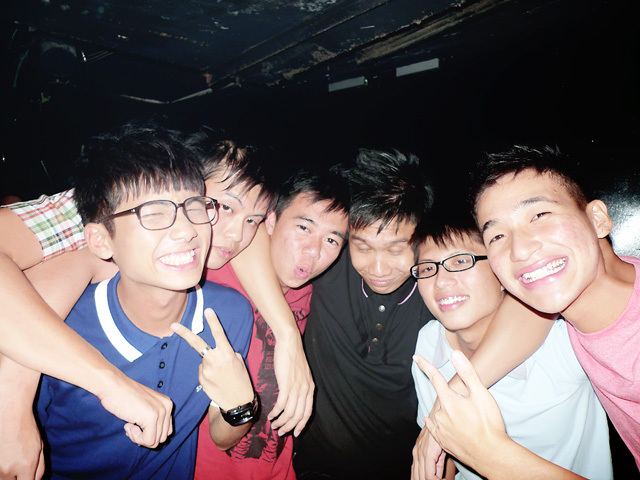 And it's also when I improved physically, got fitter (but now back to skinny liao) and much more healthier! Not just only physically but mentally I've got stronger as well, all the training that you to endure and also to manage the little time during the weekends! At the point of time when you are on the urge to give up yet pulling yourself back on track is what I'm impressed by myself! I'm more obviously, *clears throat* more discipline and organised! Hahaha! I also realise I'm stronger than what everyone and I thought I am! It's through BMT I made great friends and awesome bed buddy which we still are contacting now even! We always have dinner together after we get to book out from Tekong! 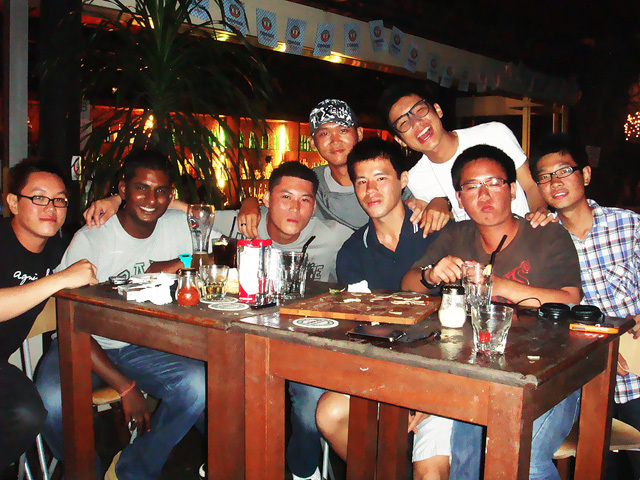 We even met up during weekends! My 4 close section (bunk) buddies! Super miss those fun days! I know I might sound abit kua zhang above saying about how awesome is BMT, but those days in BMT are really awesome to me what! That's why! Hahahaha! Or maybe because I'm lucky? Then very soon, it's POP time! 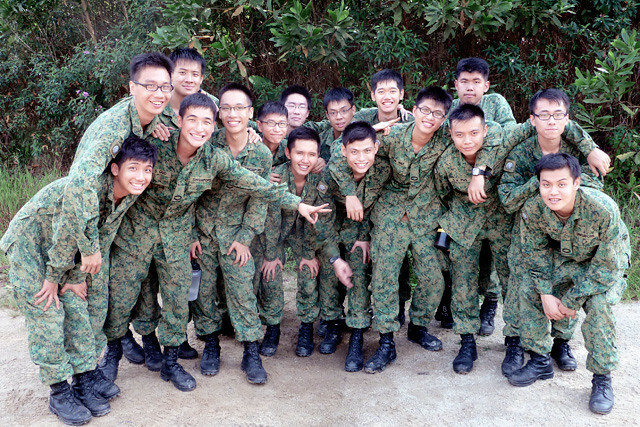 With some of my platoon mates and commanders! I was so touched when my family all make it down! So after BMT, I gotten my posting to the Airforce! But it's ground bases air defense! To side track alittle, I didn't choose 'yes' to command school when asked is because I did went for the military band audition interview and they told me they will try to get me in, so I thought, of course I must choose no to command school if not cannot get into the band one leh! But it's maybe a blessing in disguise cause I learn so much more there and made alot of great friends too! Okay, I need to insert some pictures of mates in the Aiforce now! Hahahaha! Then I got posted to Bravo flight! Loving the many fun cohesion! And then, 45th batch join our flight! I love them to bits! After posted to the unit, I also finally understand the need of us serving the nation! 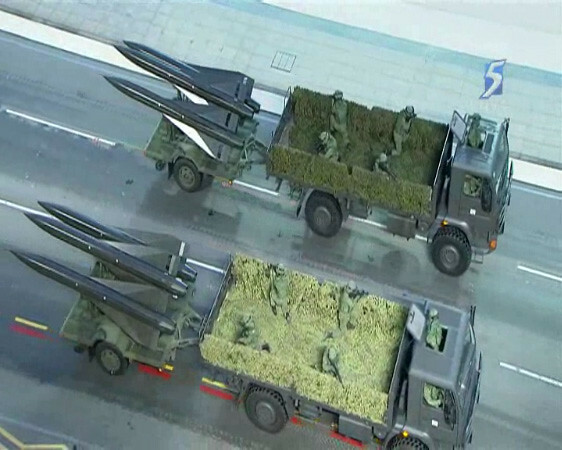 Do you think Singapore can progress and developed to what we are now without a strong military and defense system? Of course not! What will happen to our love ones if we are not out serving and defending our country from threats? They might get hurt and all sorts of unfortunate stuff might have happen if other country chose to start war with us! Haven't you think of that? It's because that we have such a strong, powerful and advance armed forces that somehow stop all this from happening and we are the one who is helping and keeping our nation safe! And keeping the nation safe, also means keeping your family and friends safe! Well, this unit also makes me realise and understand how much real operation works (as in like seriously real! life at stake here), as we have to do duty to guard the skies 24/7 everyday to make sure everything is right and safe so that out family and friends can sleep in peace! We also do have outfield at times, which I still don't really like! Hahaha! Look at our face after 3 days out in the field! Ahh.. memories! Different tasking which trains us to be more responsible and also it's only when I got into the unit and after much training, I finally gotten a Silver for my IPPT (I only got a pass during BMT)! And even for the second window for my IPPT, I gotten Silver too! Was super shocked at that time because I kinda slack down alittle already! Having to go through NDP mobile column must be the craziest day in my army life where I almost got depression because it's really tiring! Waking up at 3am, staying under the hot scorching sun, getting wet in the rain and only get to get back to unit at late night is really torturing! I must not lie that I kinda hate it when undergoing the rehearsal and training! I feel that I'm almost dying from it already! But after experiencing the preview and the actual national day, seeing how many people looking at us with smile, makes everything somehow worth it! 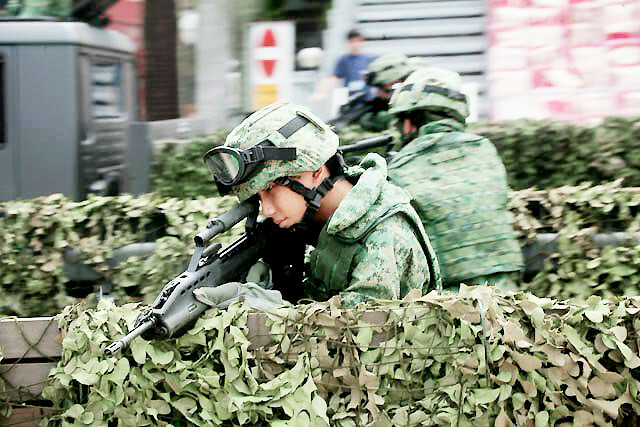 And I also did help out alittle in this year's NDP before I ORD, but this time for the safety team! 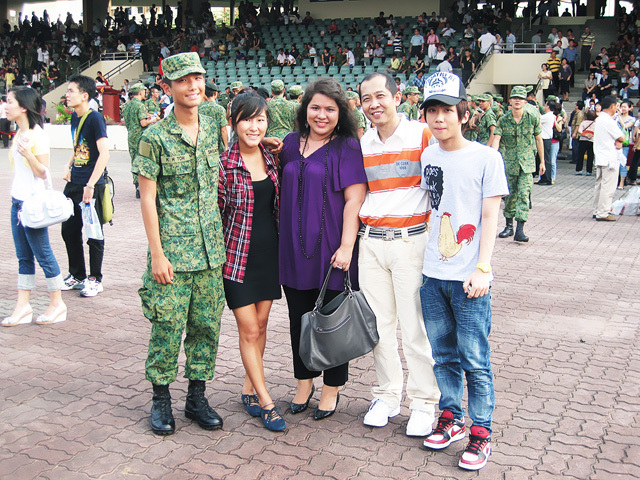 While rehearsing for mobile column section for NDP 2010! It's really true that if you did not experience it before yourself, you won't understand what others have been through and I've experience it myself and been through it, so that's why I can related more and appreciate them more! I must say I really learn alot during this 2 years of serving NS! No, I'm not preaching! I know we all do have complains and stuff that we are unhappy about during serving, but as a whole I think and feel that the experience is priceless! I got to learn stuff which I won't get to learn outside, made new friends that turns out all to be really close buddies, understand the bigger picture to doing national service, gotten myself mentally and physically stronger, more discipline and so so so much more! I must say I don't regret going through national service, as it shapes me up to a better man! I'm also always telling those who are going to enlist how fun it would be and asking them not to worry as everything will turn out fine! And true enough, everyone had a really positive experience! Ben!!!! won't you (or anyone) get bullied sometimes? fearthatlol. Hopefully i can get a group of male friends like you did... i don't think i'm likable..